BRAAMFONTEIN business owners are disgruntled that their complaints about a street market that happened on Juta street were ignored. BRAAMFONTEIN business owners are disgruntled that their complaints about a street market that happened last week Saturday were ignored. The ONYX street market was organised by a group of young entrepreneurs and included local retailers and performances by local artists. But according to the affected business owners’ petition, the street market interfered with their business. Saturdays are vital for business because that is when they generate most of their income. Khanyi Buhubukwana, sales manager for Dokter and Misses, said that there was “no accountability” from the organisers of the street market. “One of the strongest retail days was taken from us…this is our bread and butter,” said Buhubukwana. Buhubukwana said that the manner in which their petition was ignored “puts fear” into the business owners of Braamfontein. The entrance of Dokter and Misses was blocked by the street market and other retail stores including nightclubs, like Great Dane, were affected. 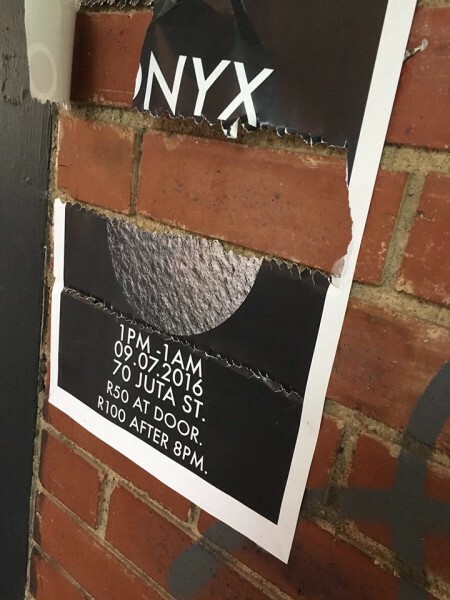 Stefan Schoonraad, one of Great Dane’s owners, said Braamfontein business owners work hard and that the only expectation they had was for the ONYX organisers to consult them. “When we know we can decide and come to an agreement,” said Schoonraad. Tumi Lobela, one of the young entrepreneurs that organised the street market, said he only read a complaint from Play Braamfontein, a group of businesses on De Beer street, on Sunday and thereafter they apologised. According to the City of Johannesburg’s Communication Specialist, Nkosinathi Nkabinde, the city knew nothing about the street party or any petition by business owners. Braamfontein business owners complained about the terrible conditions of the streets after the street market. Schoonraad expressed his concern for the parking inconvenience that the street market caused and how the lack of toilets resulted in human waste on the streets.